Even though I have the worst-possible trainer discipline and will ride in all conditions but golf-ball hail and fog, I did spend time on the trainer a few seasons ago getting ready for CX Worlds. At that time, using the applications were harder than the workouts because of the software. Zwift is successful because they figured out a marketing opportunity and how to easily onboard users and make it fun. 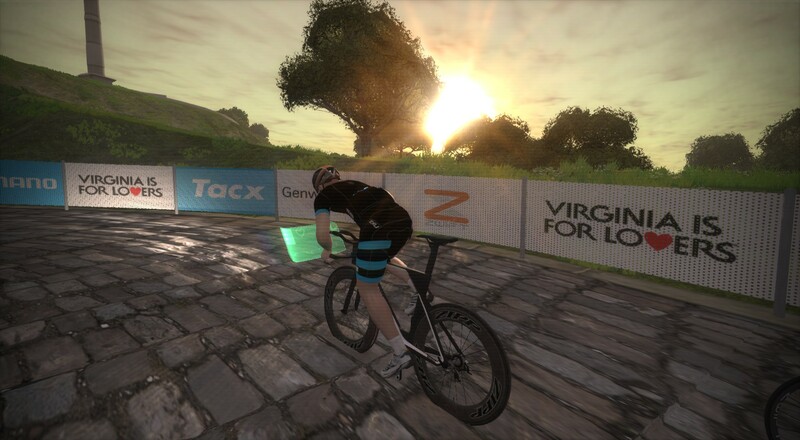 Call it gamified or whatever, Zwift is more entertaining than the reality TV I’d watch with the 80s metal playlist blasting, sweating into a towel. When it launches, the new service will cost $10 or £8 with no commitment, except for you to get on the trainer. Who knows, maybe you’ll see me on there too….